Confusing art with food is a bad idea. Waldemar explains why. Will someone do me a favour and shoot Ferran Adria? His crime — a serious one — is to have launched the idea that food is art, and to have persuaded various influential inhabitants of the art world to believe him. On second thoughts, shooting Adria would be murder, and murder is never right. So let the “global icon of gastronomy” live. Just lock him up in the basement of Somerset House, and tape up his mouth. Because his silly notions about culinary deconstruction, art being food, cooking being an art form, and all the rest of the Catalan claptrap pouring out from the Costa Brava have gone beyond the realms of comedy and begun to affect people’s sense of reality. How else to explain the arrival at Somerset House of an entire exhibition devoted to Adria’s cooking and its artistic impact? The show, called elBulli: Ferran Adria and the Art of Food, is basically an advertisement for the expanding elBulli empire. Created tackily out of billboards and video snippets, this tawdry display retells the story of a small restaurant on the Costa Brava that transformed itself into a must-go gastronomic destination and came regularly to be named as “the best restaurant in the world”. Guided by the inventive genius of Ferran Adria, elBulli changed the way we understand food and transformed culinary history. Or so it says here. To enter the pilgrimage site, you need first to pass through an iconostasis of magazine covers, featuring Adria looking thoughtful on the front of Time, Esquire, Wired and a hundred other doting rags. Beyond this, the first video you encounter consists exclusively of scenes of Adria appearing from the elBulli kitchen, and people cheering him. That’s it. Over and over again. When elBulli served its final prawn cooked three ways in 2011, and announced that it was closing, there were still an annual waiting list of 2m diners trying to book a table. They needn’t have fretted. From the worrying expansion plans outlined here, it is clear that elBulli has no intention of going away. Instead, it will be completing its own transformation into cultural foam. Soon, there will be elBulli schools, study courses, museums. 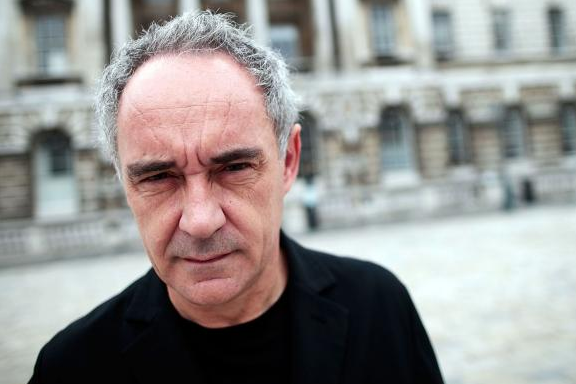 The elBulli Foundation is due to open in 2014. There are plans, even, for something called the Bullipedia, offering complete food knowledge on the internet. None of this would be worth noticing, let alone lamenting, were it not for the manner in which the art world has welcomed Adria’s ridiculous ideas, fawned over them, broadcast them and claimed them. This event isn’t just a show about Adria and his inflated concept of food. Also on display here is the tragic collapse of values that has persuaded big chunks of the contemporary art world to take these culinary distortions seriously. At one point, Richard Hamilton, in a video interview, compares Adria to Shakespeare. Just as Shakespeare changed the English language, says Britain’s most influential pop artist, so Adria has changed gastronomy. Hamilton, it seems, has much to answer for in the creation of the elBulli cult. He used to have a summer house near Cadaques, the celebrated Mediterranean art town in which Picasso and Dali once hung out, and from there he would voyage annually to elBulli to watch Adria freeze carrots in a test tube. Gradually, the myth of elBulli and art began to grow. Art-world types flew in from distant biennales. Influential art critics began jumping the queue. Conferences were arranged. And all those smiling disciples who have taken over the art world began whispering excitedly to themselves that cooking was art. 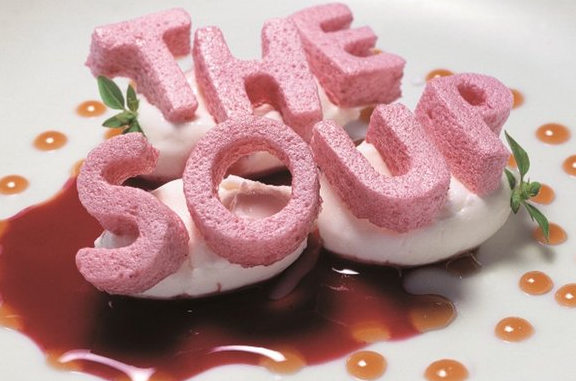 This positioning of elBulli as an art experience reached its climax in 2007, with the inclusion of Adria in the Kassel Documenta, the world’s most prestigious contemporary art event. Every day, two lucky winners of a surprise draw at the Documenta were allowed to go to the Costa Brava and jump the queues at elBulli, where they were served a 35-course tasting menu. That powerful civilisational rule — where there’s a freebie, there’s an art-world type — had achieved one of its finest denouements. Surveying the heavy branding that has accompanied this tawdry event, I was reminded not of Shakespeare, but of one of those Formula One racing cars you see, plastered with stickers. No one disputes that art and food can have an intense relationship. Every great civilisation has made food the subject of important art. The Romans devoted some of their most beautiful mosaics to depicting the delicious seafoods they were fishing out of the Mediterranean. More loftily, the deeper meaning of The Last Supper as a recurring Renaissance image cannot be understood if we do not consider its gastronomic implications. In 17th-century Dutch art, food and banquets were depicted to warn us of the final worthlessness of earthly pleasures. Food can have big meanings in art, no argument there. Where Adria gets it wrong, and where the art-world bods who encourage him are guilty of civilisational inanity, is in tolerating the idea that food actually is art. Try telling that to an African baby with a distended stomach, making do with half a cup of rice a day. It isn’t just the obscenity of imagining food to be one of contem­porary art’s cultural gewgaws that rankles. Just as disturbing is the air of piety that hangs around Adria and his notions. One of the complaints that used to be made about his restaurant was that it was so difficult to get to. First, you needed to fly to Girona. Then there was a long car journey. Finally, you descended into a modest bay on the Costa Brava, and there, looking sensationally ordinary, was elBulli. But this difficulty of getting there was one of the reasons for its success. What we are looking at here is the creation of a modern pilgrimage site. Someone in the elBulli setup appears to have realised early on — either Adria himself or his partner, Juli Soler, a former DJ and events promoter — that the difficulty of getting there was part of the attraction. With the right kind of presentation, elBulli could be almost a sacred destination. Here, at least, a valid comparison between art and food is possible, because both of them have the power to turn nowhere into somewhere. Before Tate Modern opened in Bankside, who went to Bankside? Before the Guggenheim opened in Bilbao, who went to Bilbao? In the same spirit, who went to Cala Montjoi before elBulli fetched up on the scruffy little beach? This extraordinary power to persuade people to undertake long journeys is shared also by religion. For all those misguided modern citizens who fully imagined that eating was a ­creative act, going to elBulli became a kind of gastronomic haj. The restaurant itself played up to these fantasies by dressing its waiters as new-age monks and turning the entire eating experience into a kind of sacrament. A cook with some interesting eating ideas borrowed from the Japanese began to take on the outline of a ­culinary messiah. My advice is to let him get on with it, and ignore him. Instead, pop into the Courtauld Gallery, on the other side of the square at Somerset House, and admire Cézanne’s apples. That is art.